Alicia began working at FPC as the Office Manager in February of 2017 after retiring from Bainbridge State College. She was born in Cuba and raised in Miami Beach, Florida. She and her husband Rich have lived in Bainbridge since 1999. She enjoys reading, doing Bible studies, getting together with friends, antiquing, and traveling. For quite some time Alicia wanted to be a church secretary once she retired and the opportunity to work at FPC has fulfilled her desire. 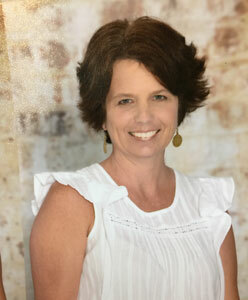 Lisa and her family began attending FPC in 1996. She has been serving as the chair of the Christian Education committee for the past couple of years. Lisa has a bachelor’s and master’s degree in early childhood as well as an endorsement in gifted education. She taught grades kindergarten through fourth grade at John Johnson Elementary School for 28 years. She is in her second year at Grace Christian Academy teaching fourth and fifth grades. Lisa is married to Mike Barber. They have three children: Holly and Anna who attend Troy University and Nick who is a junior at Bainbridge High School. She looks forward to working with every member of our church and giving back to First Presbyterian Church the love and support it has given to her family. Michael has been involved in church music for 31 years and is retired from his position as the Director of Choral Activities for Cairo High School. In his tenure as Director of Choral Activities for Cairo High School, Michael won many Regional and State Music Competitions and Honored Educator on six different occasions. Michael is a graduate of Florida State University School of Music with Master of Music Education, Bachelor of Music Education with Piano Emphasis from Mercer University in Atlanta and Associate of Music in Arts from Andrew College. He is a member of: American Choral Directors Association, Georgia Music Educators Association, where he has served in leadership roles including Choral Chair for District 2 and Choral Festival Chair for District 2 LGPE. Michael presently serves as Chairman of the Board for Bainbridge Little Theatre and with Presbyterian Association of Musicians. He has served as Choirmaster here at FPC for the past 18 years.